This cute Acapulco kids chair is the best gift you can give to your kids. It is made up of plastic so easily movable. Kids will love its bright colors and design. 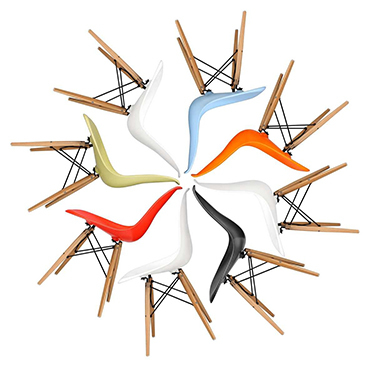 This is a classic piece of the 50s which will add beauty to your modern furniture in kid’s room. Its depth makes it safer for kids. Kids love to seat on this. It is eye-catching. You can keep it in garden or dining table. Its color range is so vast that you can select the one which goes with your home decoration. It is full of comfort and style. Stin.com is making it the best choice for less money. Being different in design it immediately becomes kid’s favorite. You can buy it as a set for kid’s party and small occasions where kids are the guests. Kids love its wonderful shape and size. It is totally for new generation kids. 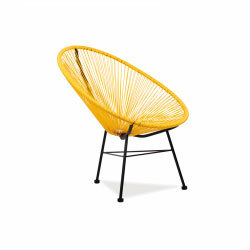 Modern design and strong durability are plus points of this chair. Kids will love it!